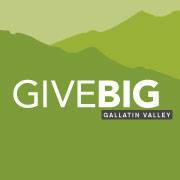 In Bozeman, Montana, this year's Give Big/Give Local community fundraising goal was $100,000. The outcome? More than twice that. In case you missed it, May 5, 2015 was Give Big Day  a national day of giving. Organized by Give Local America, local community foundations and United Ways, Give Big Day raised more than $53 million for approximately 7,700 nonprofits across the country last year. In 2015, in only its second year, Give Big Day was expected to be much BIG-ger! This was the first year the small Bozeman community participated in Give Big Day. So, what did they do and how did they do it? That's what I asked Bridget Wilkinson, Executive Director of the Bozeman Area Community Foundation. "The Bozeman Area Community Foundation felt that Give Big Gallatin Valley was a great way to bring together the nonprofit sector in Gallatin County," Bridget explained. "We had seen the success of Give Big Days in other communities and we knew there was a great opportunity to make this event a success in our own community." From midnight until 1:00am, Give Big volunteers held a Kickoff Cocktail Hour at a wine and cocktail bar on Main Street. During the early morning hours, you could find volunteers at fhe gym and a downtown coffee shop. During lunch and again near the close of business, volunteers could be found at downtown restaurants and other popular meeting places. At each location, called a "donor lounge," volunteers were available to answer questions and also to facilitate giving using iPads and a secure website. Participating nonprofits also encouraged their supporters to give at home via the same secure website. Donors could select up to 10 nonprofits, then "check out" with one, convenient credit card payment. Donors received an instant email, acknowledging their gift and providing a tax receipt. As an added incentive, each "donor lounge" offered special promotions when individuals donated $10 or more from their establishment. Restaurants offered free and discounted food and beverages. Retailers offered free merchandise and entries into raffles for larger prizes. Montana State University hosted a photobooth. There were more than a dozen additional giving bonuses throughout the day. The Bozeman Area Community Foundation designated $5,000, which was awarded in $250 and $500 increments and rewarded donor participation. For instance, the first and last donors of the day were allowed to designate another $250 to the nonprofit of their choice. Throughout the day, randomly selected donors had as much as $500 added to their donation. The day ended with a community celebration featuring food, friends, a photobooth and music with one of Bozeman's favorite DJs. The Bozeman Area Community Foundation and 13 local businesses contributed to a "stretch pool," which was used for giving incentives. As a result, every dollar that was donated to a Bozeman-area nonprofit on May 5th will get a boost from this pool of matching funds. "We truly believe that every donation, no matter how large or small, makes a difference," Bridget said. "You really get to see the collective impact when a whole community comes together." When asked how she developed the strategy for the first Give Big Gallatin Valley day of giving, Bridget was quick to credit the extraordinary team of volunteers who made this happen. Bridget also said, "We used a mix of ideas from Community Foundations all over the county. We were able to exchange ideas and to learn what is working and not working nationwide. I tried to take some ideas and adapt them to what I believed our community would best respond to. And on May 5th, we'll see what worked!" Well, Bridget. It worked. Congratulations on a job well done. Whether you're planning an online giving event or simply looking to improve the donor experience, take the three lessons from Bozeman's first Give Big Day and apply them to your nonprofit.